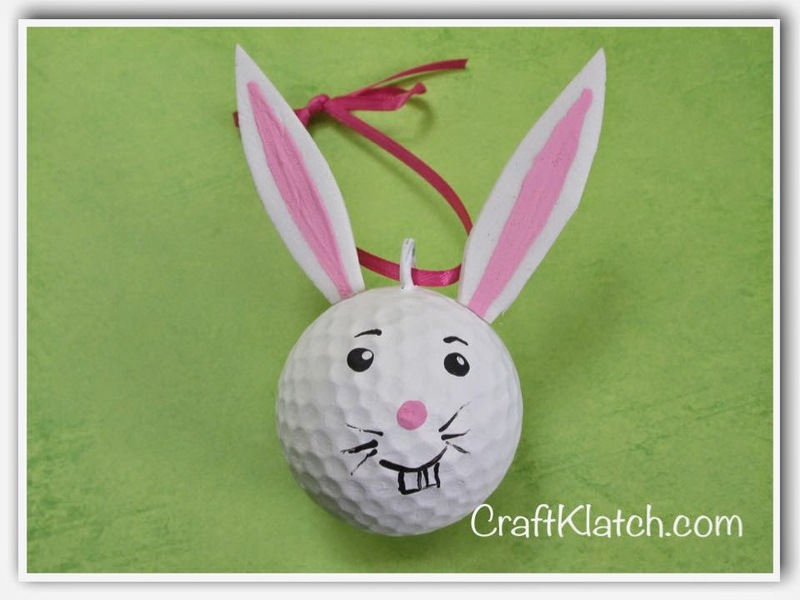 Easter is coming and there is still plenty of time to create these fun and easy Easter Bunny Crafts. You can make them with either a golf ball or a wood bead. 1. Drill a hole into the golf ball. Use a thin drill bit. 2. Screw the eye screw into the golf ball. 3. Paint the golf ball and eye screw white. It will take at least two coats. 4. Once dry, use a skewer stick to paint on the features - I show you how to easily do it in the video above. 5. Once dry, cut the white craft foam into the shape of bunny ears. 6. Use pink paint to paint on the inner ear. 7. Once dry, glue them onto the head. 8. Add a ribbon and that's it! For the bead, you can skip drilling the hole and just thread the ribbon through the hole and tie two knots at the end and add a dab of glue to keep it in place. That's it! Thank you for stopping by! Stay safe and Happy Crafting!